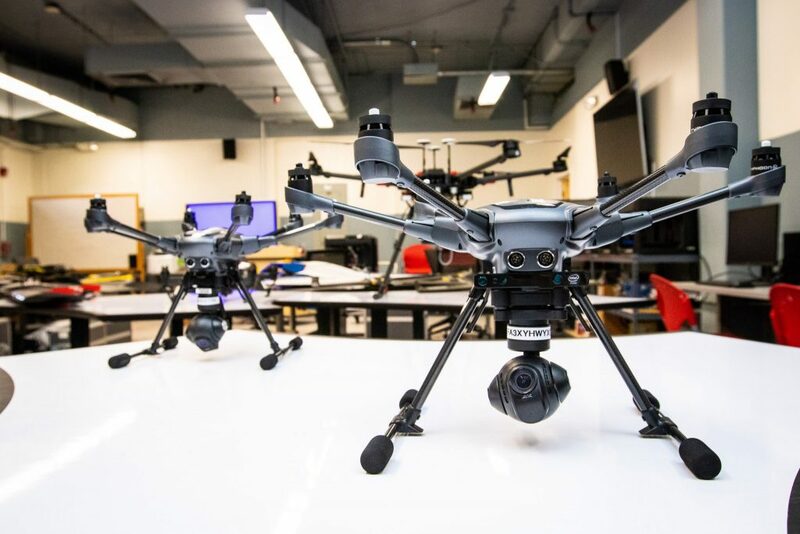 Elizabeth City State University has partnered with the Sinclair College National UAS Training and Certification Center, located in Dayton, Ohio, to enhance training and applied research for Unmanned Aerial Systems, also known as drones. Dr. Kuldeep Rawat, ECSU’s aviation program director and dean of the Area of Science, Technology and Mathematics, says that Sinclair is one of the leading institutions in the country focusing on drone technology, with curriculum and applied research focusing on real-world applications of emerging drone and sensor technologies through classroom and online instruction, simulation and hands-on vehicle operations. Sinclair College’s National UAS Training and Certification Center sits at the forefront of UAS innovation, creating partnerships, developing leading curriculum, and investing significantly to establish a nationally prominent program dedicated to meeting the workforce needs of the growing UAS industry. “Sinclair has a great program and facility. They are the top in their state and a leader globally,” said Dr. Rawat. ECSU is a leader in aviation science education across North Carolina and the southeast United States. 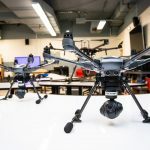 It is also fast becoming a leader in drone technology education with the introduction of its first drone bachelor’s degree program – scheduled to kick-off in the fall of 2019. Dr. Rawat said that ECSU’s flight simulator and air traffic control labs make ECSU’s role particularly important to the joint research. As drone use throughout numerous industries grows, the question of air traffic management becomes increasingly significant. In the spirit of the Memorandum of Understanding, the two institutions will host a joint exercise in June 2019. The exercise will bring together the Sinclair and ECSU campuses through the use of the high-fidelity Simlat UAS training software housed within both institutions and the Live, Virtual, Constructive (LVC) capabilities developed by Simlat and Sinclair over the past few years to enable the integration of participants in Ohio and North Carolina. The exercise will include live manned and UAS flights in Ohio and virtual UAS operations conducted from the Sinclair and ECSU campuses and deployed Sinclair ground control vehicles to conduct an emergency response scenario. The UAS industry is expected to create 100,000 new jobs in the U.S. during the first 10 years of commercial integration and is growing at a rapid rate, projected to expand at approximately a 10 percent compound annual growth rate between 2018 and 2023. The level of economic activity is significant with more than $2 million in UAS related startup investment since 2012, $500 million of that occurring in 2017 alone, and an estimated $88.3 billion of civil UAS production worldwide over the next decade.